Tortoise have spent the last 20 years defying the conventions of rock music — and forging a unique approach to studio recording. If you want proof that challenging and experimental music can still find a place in today's X‑Factor world, you could cite the success of Chicago band Tortoise. While the rest of the American rock world embraced the primitivism of Nirvana and Green Day, this instrumental quintet wielded influences as diverse as Krautrock, jazz, classical minimalism and Afrobeat. Tortoise continue to explore new musical territory, most of which sees the guitar discarded in favour of synths, basses and pitched percussion, all underpinned by furious twin‑drum‑kit polyrhythms. Tortoise's albums have always been self‑produced, and demonstrate in no uncertain terms how a band in command of technology can make the studio work as an instrument. Recording has always been handled collectively to an extent, but over the years, drummer (well, one of the band's drummers!) John McEntire has evolved into the band's main engineer. 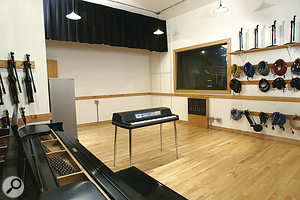 It was he who, some 11 years ago, took the plunge and established a fully fledged studio in the group's home city, and since then, Soma Studios has served as a base for numerous other production projects. 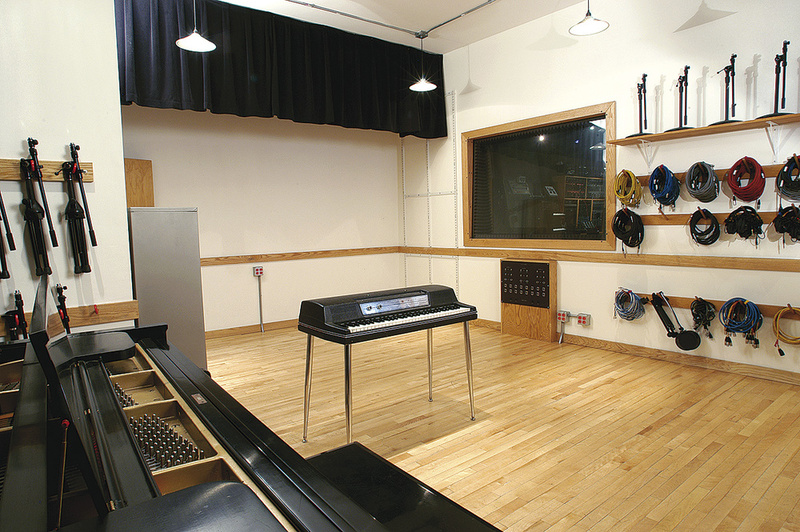 The L‑shaped live area at Soma, with grand piano (left) and Wurlitzer electric piano. 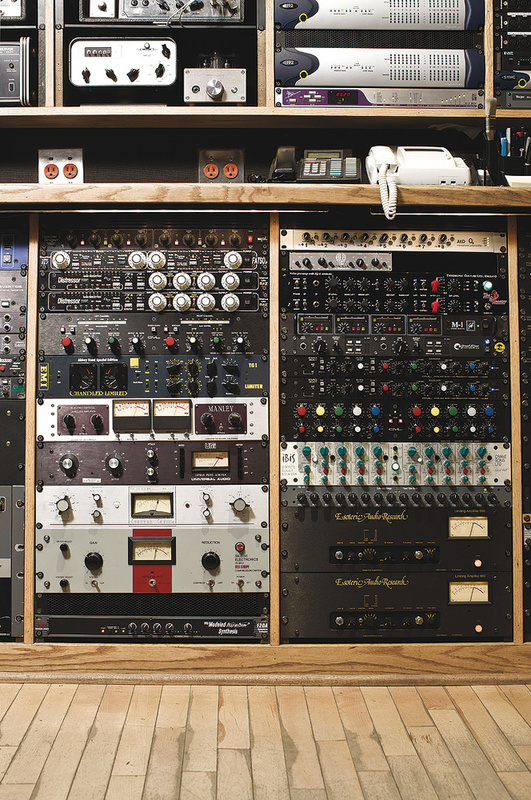 "I like M/S now a lot for a general stereo pair, either overhead or in front of the kit. Just having the control over the width after the fact is really, really handy. I like the imaging of that technique better than a lot of the others. Another thing I also like about M/S is experimenting with drastically different kinds of mics, like a ribbon mic for the side and maybe some kind of large‑diaphragm tube mic for the mid. 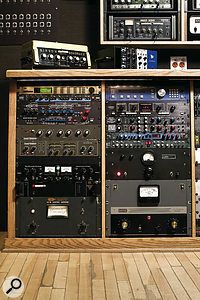 If I'm not using M/S, I'll throw up a stereo mic like an AKG C422 or Neumann SM2, or perhaps a spaced pair of condensers. 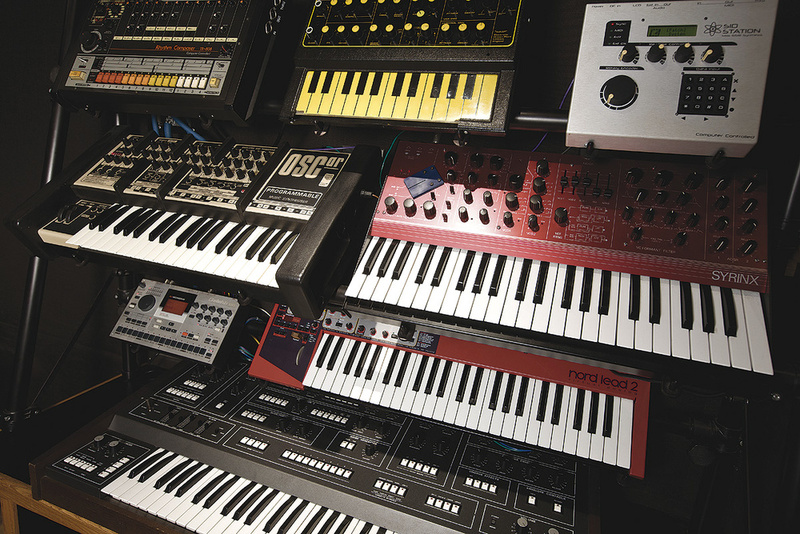 A few choice Soma instruments, including (top row) Roland TR808 drum machine, EDP Wasp and Elektron SIDstation synths; OSC OSCar and Synton Syrinx synths; Elektron Machinedrum drum machine, Clavia Nord Lead 2 and Elka Synthex synths. 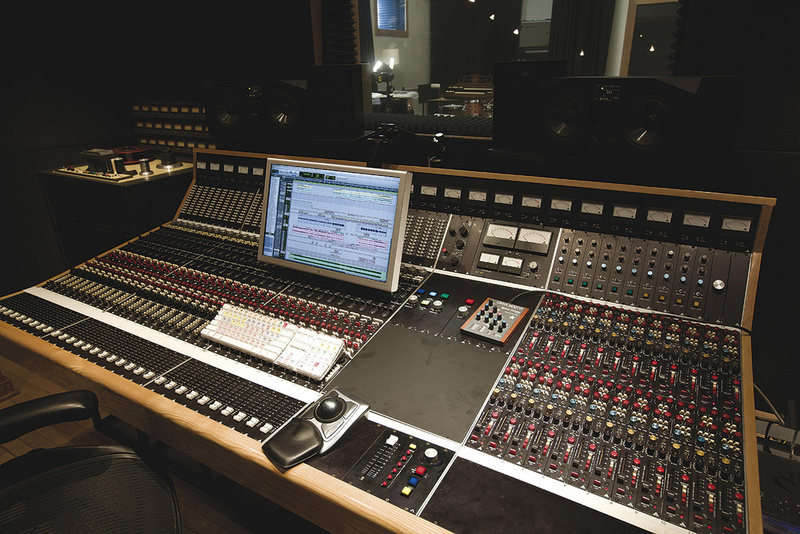 Whatever approach is taken to the initial recording, chances are the drums won't escape the mix stage without a serious mangling. 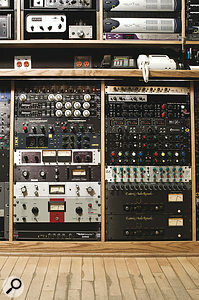 "There are a couple of outboard boxes I like. There's the Thermionic Culture Culture Vulture, of course, and I have this strange box that was custom-built by an Austrian gentleman, which is called the Masterverzerrer, literally 'Distortion Master'. Incredible sounds. I have a couple of old quarter-inch two-track machines from the '60s, which are great for tape saturation and driving the front-end electronics. And then there's always the synth approach, for instance I have a couple of Comparator modules in my CMS [modular] that basically turn any input into a square wave, which is really handy sometimes! There's a module by The Harvestman called the Malgorithm, a voltage-controlled bit-crusher, which as you can imagine, is pure insanity. Tortoise's instrumentation has also evolved. Their early sound was built around mallet percussion instruments, especially the vibraphone (which can be a challenge to record: "They have a tendency to be very noisy mechanically, with the pedal and the damper and everything. I'll just do a spaced pair over the top, that usually seems to work well”). 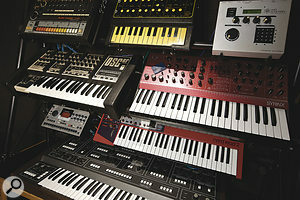 Nowadays, synths are to the fore, while the vibes have taken a back seat. "In the beginning we were much more primitive, you know — just two drummers and two bass players. And then it was actually Johnny [Herndon] who had the vibes, and he started bringing them to rehearsals. And we thought, 'This is great, it fills that space that a guitar or some kind of keyboard would in that register, but it still totally works with everything else we're doing.' So that was the beginning of it, and then as the instrumentation grew up around it, it always still fit in with everything else. Tortoise's impressive modular setup is based around a CMS system (in the large rack, lower left), augmented with two ARP sequencers (top) and sundry FracRac and other modules. 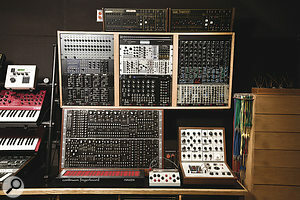 Also shown is the band's EMS VCS3. 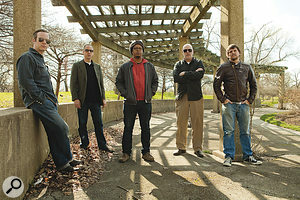 Said album surprised many fans on its release in 2006, and perhaps marks the transition to Tortoise's newer, more band‑oriented approach in the studio. In a radical move away from their usual original, wholly instrumental compositions, they recorded a collection of cover versions, featuring Will Oldham (aka Bonny 'Prince' Billy) interpreting the likes of Elton John's 'Daniel' and Richard Thompson's 'The Calvary Cross'. 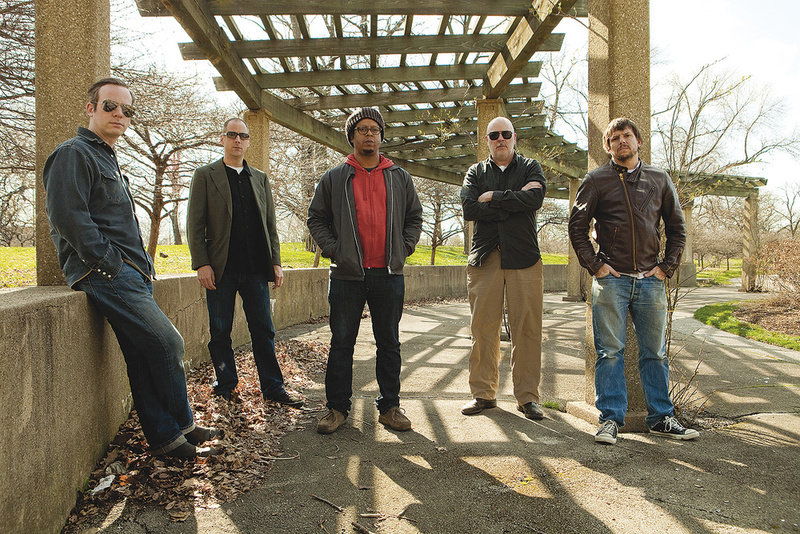 A mark of Tortoise's originality is that they can claim to have spawned a musical genre. It was writer Simon Reynolds who first applied the label 'post-rock' to their particular brand of thoughtful, instrumental music. The same label has since been pressed into service by any number of aspiring guitar bands unable to recruit a decent singer, and for Tortoise themselves, it's become something of a millstone. 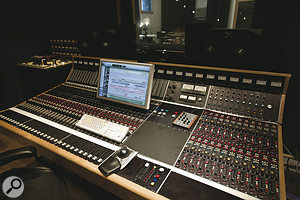 John McEntire's most recent high-profile production job saw him record, produce and mix Broken Social Scene's 2010 album Forgiveness Rock Record. The Canadian band's sprawling line-up can include up to 19 musicians: "It was actually easier than I would've expected, because everybody came in shifts. 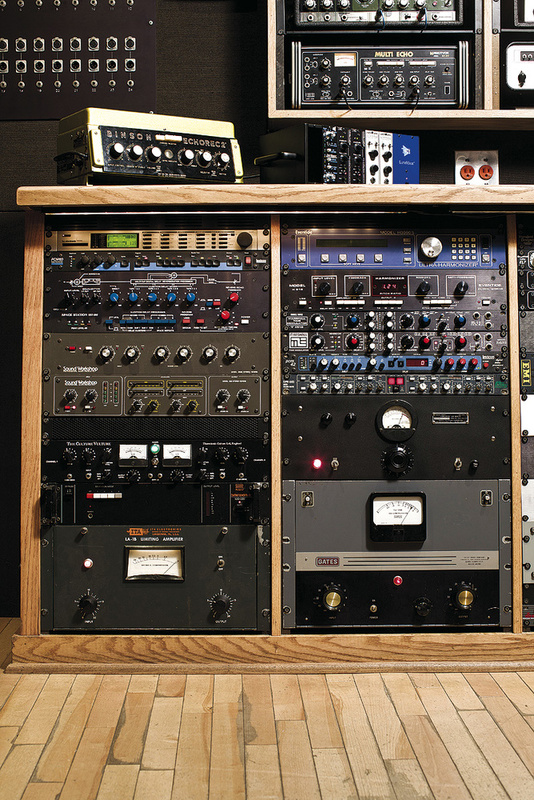 We got all of the rhythm-section tracks done really quickly — I think we did 35 or 40 songs in 10 days. Not all of those were finished songs, though, some of those were just fragments or ideas, and then the process of finishing up all the rest took a while longer, partially because we didn't know what we wanted to do with certain things, and because there were some scheduling issues.